KANSAS CITY, Mo. — It's a night that comes with a lot of celebrating, from parties to popping champagne. 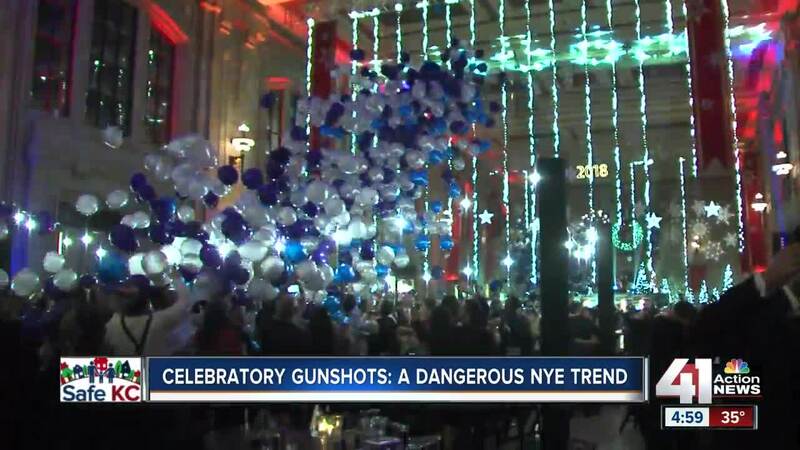 Ringing in the new year can also be dangerous as people shoot off their guns to celebrate. "We want people to realize it is illegal to shoot guns off in Kansas City. Initially it is a misdemeanor charge, which at a minimum is punishable at a year in jail and a $1,000 fine," said Sgt. Jake Becchina with the Kansas City Police Department. Police said firing a gun puts everyone in danger. "The bullet goes down as fast as it goes out of the gun upwards in the air. It's a very dangerous situation. When it comes down, it can easily damage property, vehicles and can injure or even kill people," said Becchina. Like on July 4, 2011 when Blair Shanahan Lane was killed from a stray bullet from people recklessly shooting a gun. Just last summer, her mom went door to door telling people to put down the guns. New Year's Eve is also busy for dispatchers. "Last year, our gun detection system alone in a small part of the city detected 150 gun fire alerts," Sgt. Becchina said when talking about when the clock hit midnight. Captain Luster with KCPD Center Control said it becomes a long night for dispatchers. "It's just a difficult situation to work through but we are always able to manage that," said Captain Luster. Dispatchers having the difficult job to determine if someone is in danger. "We have to treat them all equally as serious. The call volume comes that comes in strains our dispatch center as people potentially engage in celebratory gun fire. We don't know if it's a real shooting or if it's just somebody celebrating," said Captain Luster. Police said just leave the gun alone on New Year's Eve. KCPD will be doing a tweet along for the holiday. You can follow them on twitter. They will tweet what officers are doing around the city. BREAKING: We'll be doing a #kctweetalong for New Year's Eve! Tune in here from about 8:30 p.m. - 12:30 a.m tomorrow night. We'll be riding along in Central Patrol Div. and live-tweeting what officers are doing as KC rings in 2019!